Don’t primary colors instantly bring you back to kindergarden? (In the best possible way, of course?) From finger paint to sidewalk chalk, you could make any color your little heart desired just by mixing these three colors. In this trend report, I’ll be bringing you three of the best perfume trios that come in sophisticated updates of the classic colors we all love. First up is Marc Jacobs’s Splash Cocktail Collection. Ginger, Cranberry, and Curacao are ridiculously upscale and fancy. They come in massive jars (300ml!) that decorate my dresser top like artwork. Just a spritz or two (read: they will last you forever) goes a long way to make you feel earthy and fresh. These were super limited edition last summer, but they have made their way to Marshall’s and T.J. Maxx just in time for this summer. Good news for fragrance-istas on a budget! 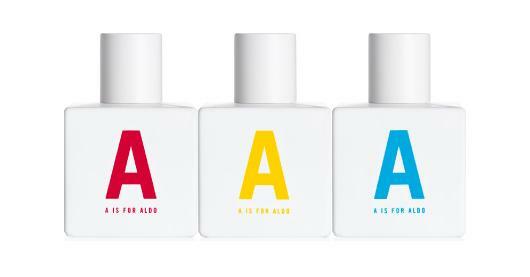 Aldo’s A is for Aldo collection is extremely bold. You love their shoes- now check our their fragrances! Each “color” houses a vastly different scent, but each is powerful and heavy on the musk. Click on the link above to take an online quiz that will match you to your personality’s scent. There is also a men’s collection from A is for Aldo. Will you be checking any of these scents out? Thanks for sharing your thoughts about body home fitness seterus.